The METU Campus is located on the Ankara-Eskişehir highway and has been forested entirely through the efforts of the University employees and students since the early 1960's. The Campus includes Lake Eymir. The lake and its surroundings meet part of the rowing, fishing and picnicking needs of the METU employees and students. The surroundings of Lake Eymir have also been forested through the efforts of the University employees and students. The fresh water for METU is being supplied from the deep wells around Lake Eymir. 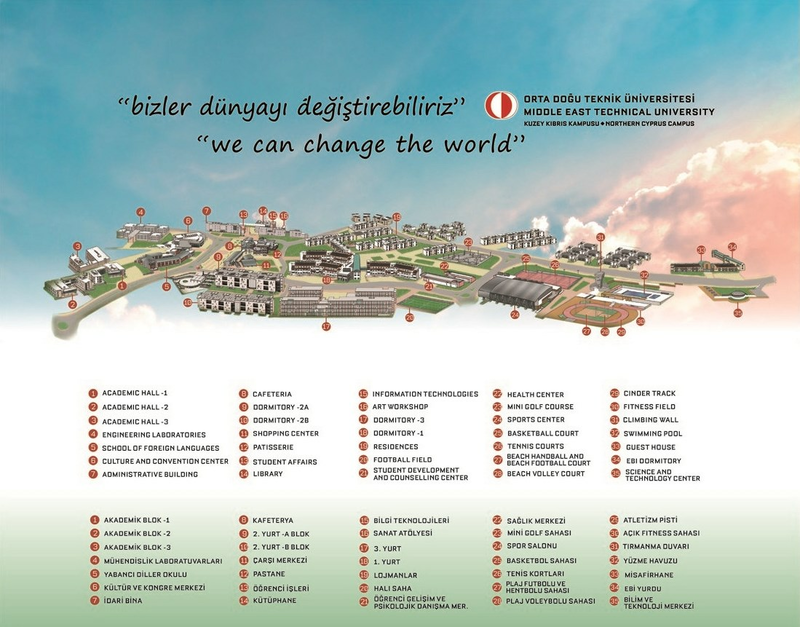 All Faculties and Departments of the University are in the same campus area, except for the "Graduate School of Marine Sciences" which is located at İçel-Erdemli on the southern coast of Turkey and METU Northern Cyprus Campus.